Are you a New Zealand guest and love to win prizes? Elite Holiday Homes have teamed up with Freedom Furniture NZ once again to offer an amazing holiday package. This holiday package includes a trip to the Gold Coast valued at over $10,000. 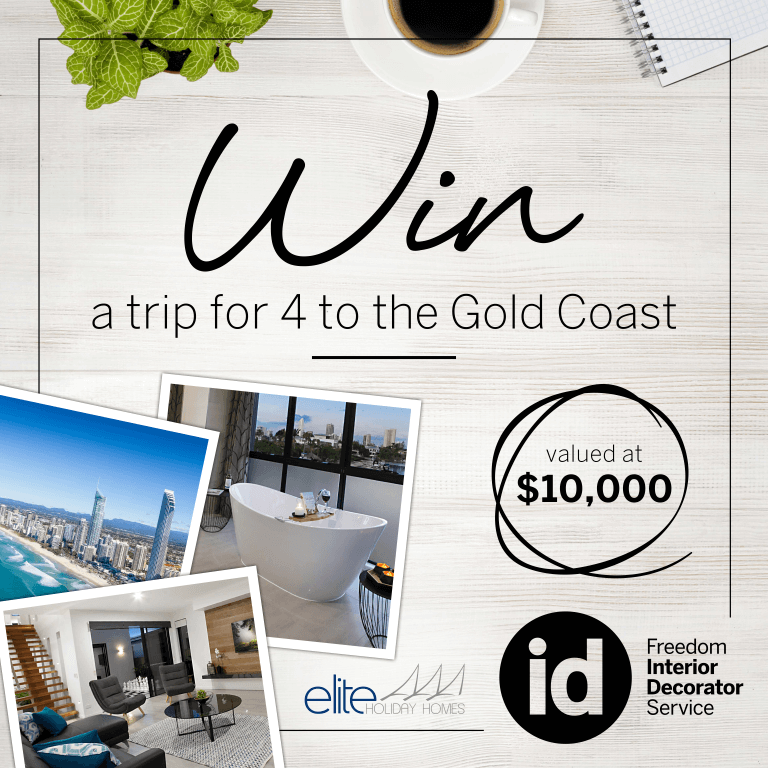 So, if you’re from New Zealand and are an Elite Holiday Homes guest, book a free in-store consultation with one of Freedom’s talented interior decorators.